"Whenever there is a big announcement, they add ''patriotism'' to it. Is there any person in this country who is not a patriot? Everybody is a patriot," Priyanka Gandhi said. 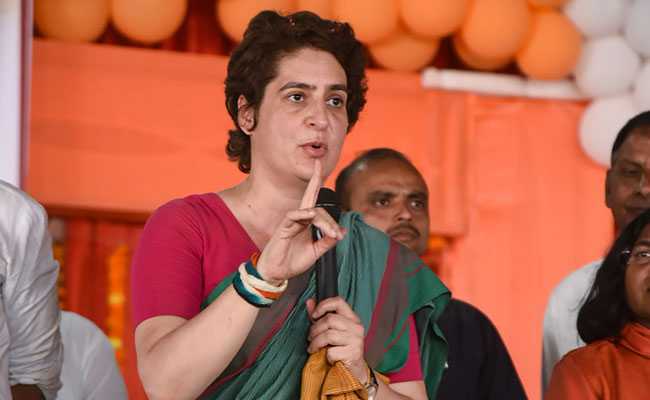 Congress general secretary in charge of eastern Uttar Pradesh Priyanka Gandhi Vadra on Saturday criticised the Bharatiya Janata Party (BJP) for being "selectively patriotic", and said the party should pay respects to former Prime Ministers Indira Gandhi and Rajiv Gandhi. "Whenever there is a big announcement, they add ''patriotism'' to it. Is there any person in this country who is not a patriot? Everybody is a patriot," Ms Gandhi said while addressing a public gathering. "If these BJP leaders, who make tall claims, were big patriots, then they should have respected all martyrs, whether that martyr was a Hindu, Muslim or father of Opposition party leader... You can't select amongst them and then pay respect. If you are a patriot then respect all the martyrs. Respect Rajiv Gandhi and Indira Gandhi too," she added. Further criticising the NDA government, Ms Gandhi said, "During demonetisation, you were told to stand in queues and submit your money as it is about showing patriotism because black money would be brought back to the country. You should your patriotism and stood in lines, but did black money come back? Not even a single paisa came back." Talking about the upcoming Lok Sabha elections, Ms Gandhi added, "These elections are very important. In these elections, you are not just doing to decide your future, but the country's too. We need to clearly understand the behaviour of the government which has been in power for the last five years. Whenever elections come, they come up with the question of patriotism. But the strong question this time is - how much development has been done? How many jobs have been given? What all has been done for the farmers? What has been done for the safety of women? There is no discussion on these things." Lok Sabha elections will be held in Uttar Pradesh in all the seven phases. Counting of votes will take place on May 23.